I can’t believe how fast 2016 went by. Only a few hours and it’s already the new year, 2017!! So much has happened, and I know you’ve probably gone through a lot as well this past year. The U.S.A. has gone through some changes and is in for big change for 2017. I think it’s so important to start off the new year right, and jump in with a positive mind and kind heart. Health is always on the top of my list of New Year’s Resolution – as in improving my health. Sometimes this means running more – like a marathon or half marathon, working out 6 times a week, meditating daily, or eating healthier. This year, one of my resolutions is to keep this blog going for the next year and continue sharing my experiences and best practices when it comes to cultivating plants. I want to encourage other people to start their own gardens, big or small, regardless of how brown they think their thumbs are! There are so many benefits of having plants indoors, or of growing your own vegetables when it comes to your health. I think gardening is a type of meditation for me and brings me peace of mind. I love walking through my house and seeing the happy, green plants that grow little by little every day. The house smells clean and fresh from the plants purifying the air naturally. I enjoy being close to the earth and eating vegetables or herbs that come straight from my garden. I hope you are looking forward to this upcoming year as much as I am. I look forward to getting my shovel out, digging into the great, giving earth, and nudging forth green life. This is also a great resolution for the next year! 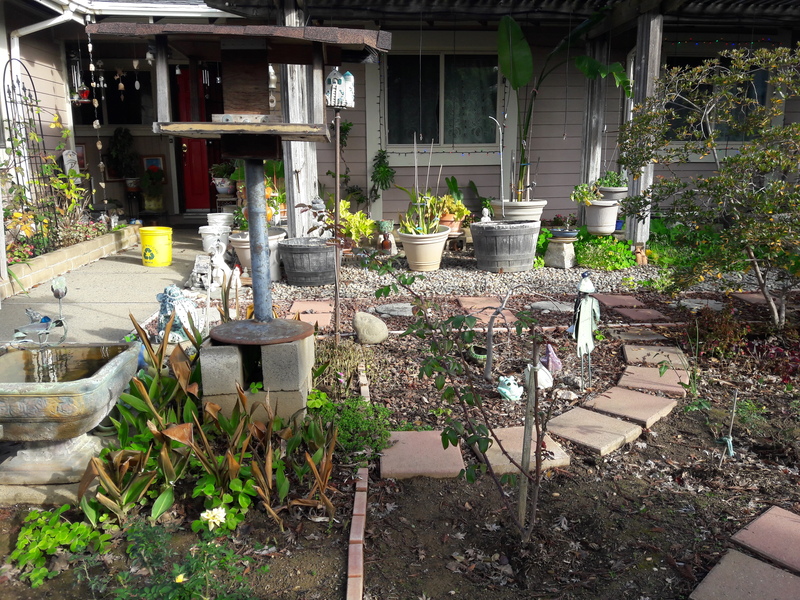 My gardens are also my passion, and stress-relief, and creative outlet, and so much more. Best of luck in the coming year. Love those orange-tones calla lilies…do you know the variety? I love hearing you’re also passionate about gardening! I’m not sure the variety of those lilies but, love to enjoy them in the summer time! They seem to get bigger every year!